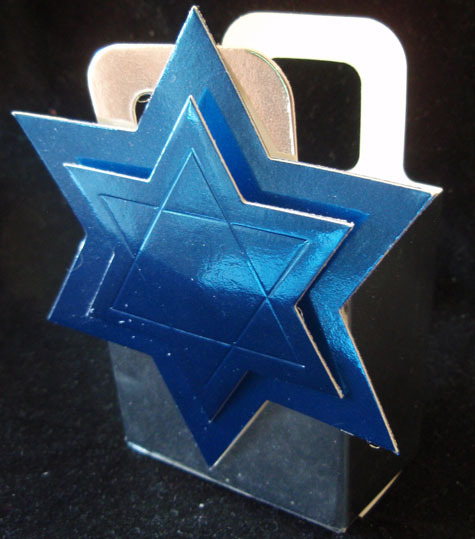 This cute little silver box with the shiny blue star on it is just the right size to hold a few truffles or other small treat. It is 4" tall including the handle or 2 1/2" without the handle. The box is 2 1/2" wide by 1 1/4" deep. The double layered Star of David has a 4" diameter. Price shown is for one box. 15 available.